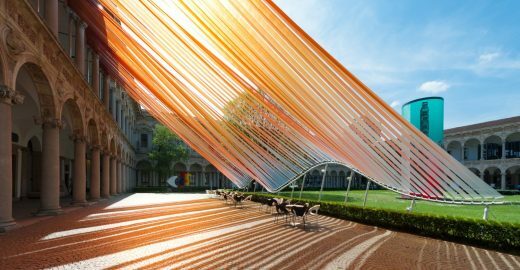 “Borders are usually seen as something closed and unapproachable but I think it’s interesting to make borders attractive, dynamic and engaging. 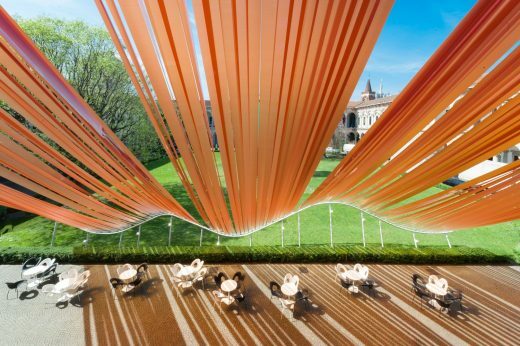 So we decided to play with the border between the historical loggias and the garden in front of it, and design a transition in-between them.” Says Ma Yansong founder and principal architect of MAD Architect. 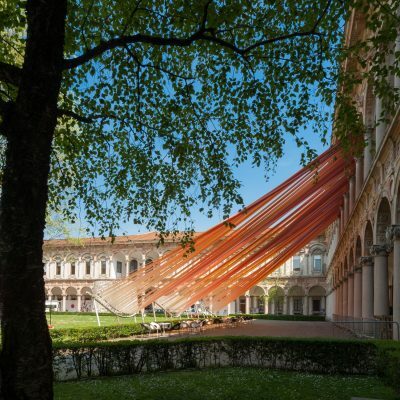 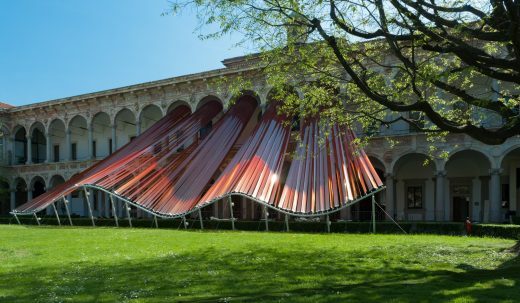 The installation represents a sculptural gesture that is inserted to break the balance of the Cortile d’Onore and at the same time establish a new shelter, between the façade and the courtyard, for people to engage in discussions or just contemplate the sky through the canopy. 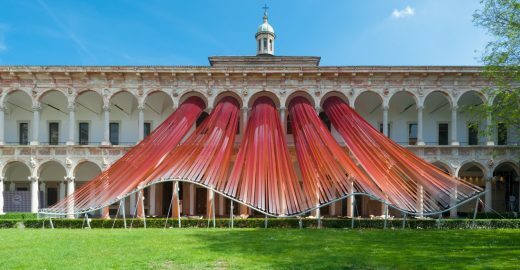 The result is an installation, inspired by natural flow of wind and water, which extends the physical and conceptual threshold of a boarder. 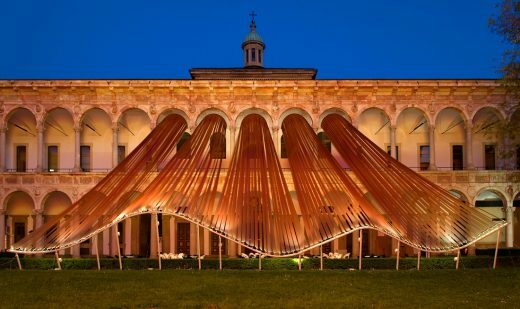 MAD’s installation is comprised of ETFE with a gradient color, the lightweight and flexibility of the polymer allows it to move with the wind and create a subtle whistling sound. 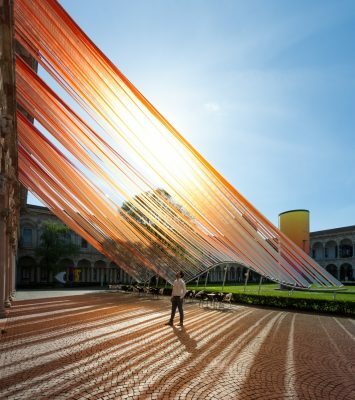 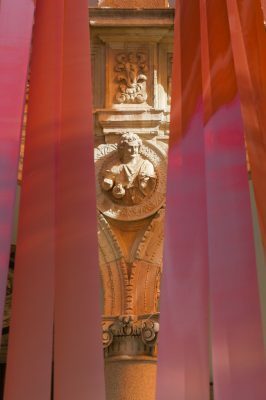 The installation reflects the hues of the sky during the day, leaving glimpses of the columns and loggias. 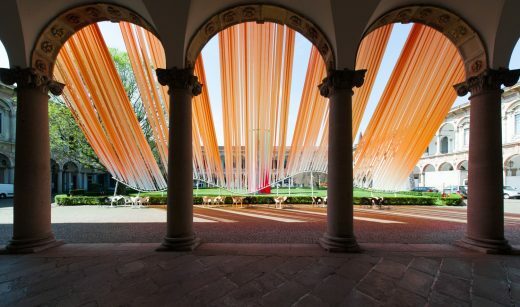 In the evening it becomes a luminous surface that brings the courtyard to live with new colors. 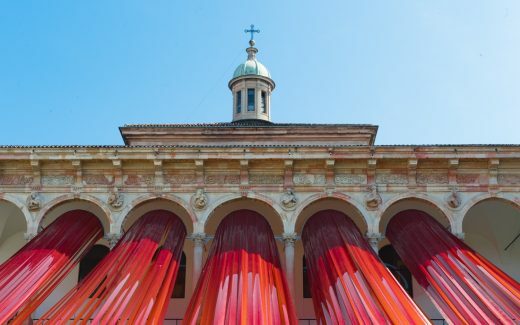 Interni’s “Open Borders” exhibition is part of Milan Design Week and opens today (Tuesday Apr. 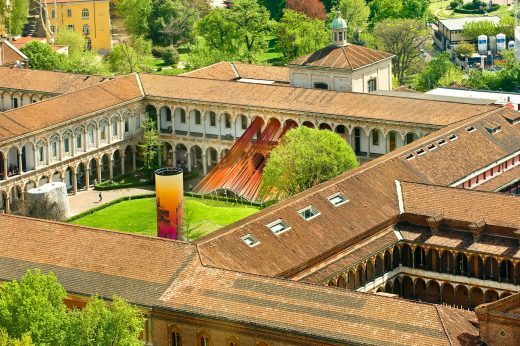 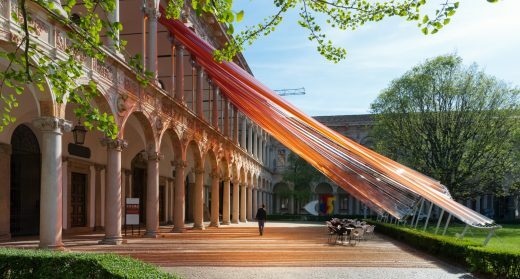 12th) and runs until the 23rd of April in the historic courtyard of the Università degli Studi di Milano.